Before our spring break trip to New York City, a few of us in the house started to have the sniffles. As soon as my wife hears an extra sneeze, the giant pot is out, a chicken is boiling, and matzo balls are being rolled. Dinner for the next few nights will be complemented with a chicken soup recipe that’s been passed down for generations. With each slurp, our family is closer to traveling cold-free. Myself, my parents and my grandparents are from New York, somewhere sandwiched between Brooklyn and Queens and a rye loaf. Some family remain in New York, but most are scattered, either in Florida or in California. I return to Manhattan each year to visit family, to watch a Broadway show and get lost in the city. Most importantly, my wife and I eat ourselves through the city. The fresh smells and tastes brings back the strongest memories of my childhood. The first day consists of a basic carb crawl:a slice of pizza, a fresh knish, a hot dog with sauerkraut and mustard, and a pretzel, all washed down with an everything bagel. A few months ago, we brought the family to the Lower East Side. We headed through Chinatown, Little Italy, and made our way towards the area of the old tenements. Immigrants in the late 1800s crowded their way into New York. It’s transformed over the years, but echoes of the past are evident, particularly in Katz’s Deli and other eateries on Houston. The classic Jewish deli was born and then thrived in early 1900s New York City, starting in the Lower East Side. The joy of eating at these establishments isn’t simply the food, but in knowing I’m eating and walking past the haunts of my relatives. One set of grandparents were friends with the owners of Katz’s Deli in the 1950s. A bite into a pastrami on rye with a side of chicken soup, and history comes alive with an extra wallop of joy and nostalgia. I envy nostalgia and soak it up back in the city. The long history stretches and then gathers in the importance of family, the challenges of immigration, the work that it took to get to now. The connection to the past helps me move forward in the present. I develop similar same connections and excitement when I visit historical medical sites. Understanding the origins of our medical ancestry also helps inspire and teach. 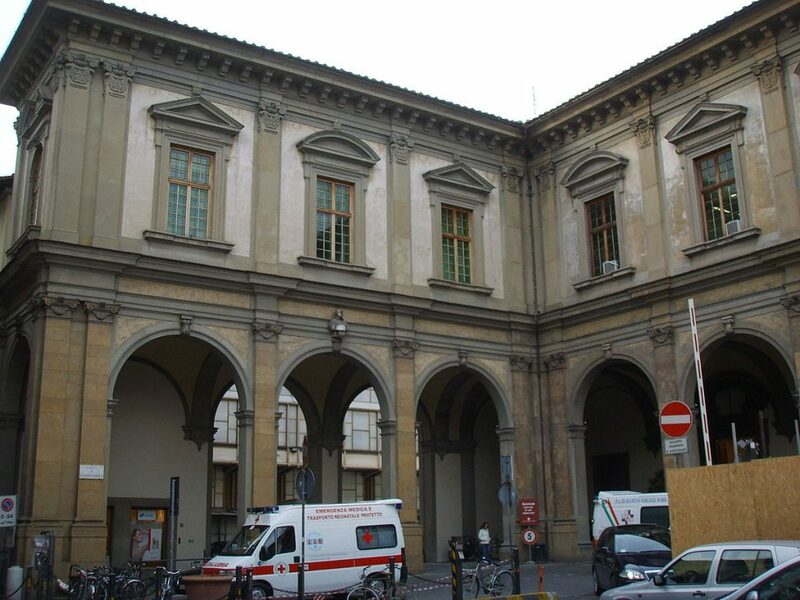 In Florence, over the summer, I visited Santa Maria Nuova Hospital. At Santa Maria Nuova I met the original hospitalist in the stories of the doctors who worked there over 5 centuries ago. Those nostalgia sensations wash over me, this time for my fellow hospitalists, with time signals tracing 500 years instead of 50 or 100. 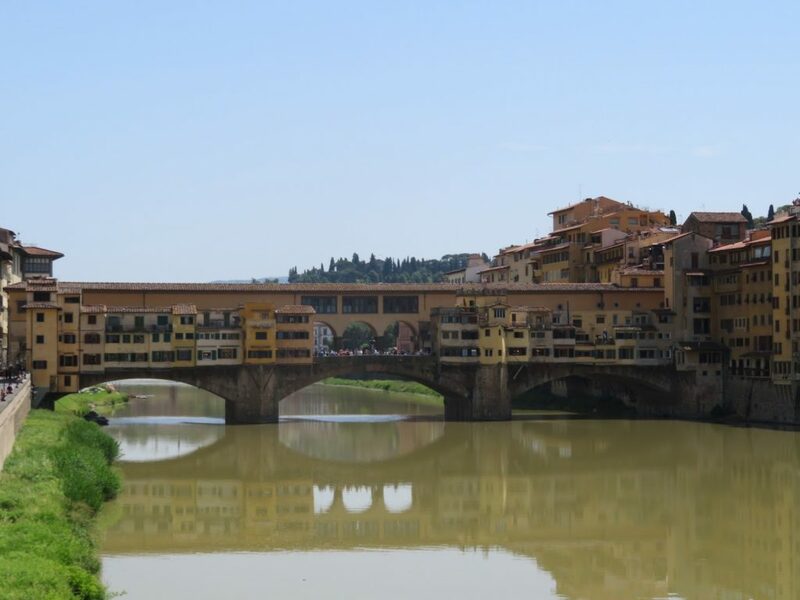 The modern world would be completely unrecognizable to a Florentine Physic from 1550, though those ancient wards may resonate with a modern hospitalist. A hospital doctor ‘medico di casa’, would be under contract with the hospital. In 1500, there were three 3 junior doctors. These junior doctors lived and slept at the hospital. Additionally, there was the barber who would cut patients’ hair and then locate the right veins for bloodletting. A surgeon was also employed, trained in procedures, using his saws, knives, and clamps, to perform bladder stone removals, amputations, and incisions of festering boils. The main physician would be supporting his career in the private world, with an outside clinic and house visits. He would have a smaller pay at the city hospital, but would be committed to give back to the community. He would round at Santa Maria Nuova daily, to teach and provide care. On arrival to the hospital, the nurse would ring a bell noting his arrival. The junior attendants and the apothecary would arrive for rounds. They would make their way through the separate men’s and women’s wards, with one patient per bed. This is important to note, as many hospitals in the centuries after kept several patients in one bed. Santa Maria Nuova was established in 1288. The hospital operates today at the same location. It was a civic hospital, not controlled by the clergy or the state, but built by a banker, the father of Dante’s Beatrice. The pharmacy on the grounds of the hospital, established in 1376, was one of the first in-hospital pharmacies. A novel concept at the time, the pharmacy was a garden, laden with many plants and herbs. The apothecary would join the junior doctor, house doctor, nurse and barber on the wards. Bedside rounding Renaissance style. The physician would have a white garment placed on him while made his rounds. Remedies, procedures, plans were established together. Often the treatments were diet, exercise and sleep recommendations. If the patient was warm, veins would be bled. An herbal expectorant, cathartic or purging agent would be prescribed based on the humoral balance. Additionally, the barber surgeon would be ready to lop off limbs or dig for bladder stones. At Santa Maria Nuova, diet was an important part of their prescription. Patients received pine nuts, walnuts, and sugared almonds three times per day. The hospital was known for their most important dietary prescription for their sickest patients: chicken soup. A bowl through the past colliding worlds, comforting and curing, and connecting. Rounding in teams: 500 years old. If you are at the bedside with your team, you are not doing something new. You are doing a dance by physicians and nurses and pharmacists centuries in the making. Pharmacy in house? Teaching at the bedside? Rounding in teams? Individual patient beds? A physician that’s in house 24/7? The origin is not 1996, but the 15th century. As I ate at Katz’s Deli, I enjoyed a healthy dose of chicken soup not to cure my nostalgia, but to weld it tight to my core and savor it for a long time. Thanks so much. Glad you enjoyed the post! Loved this post, Jordan! Just got back from Italy myself, and am very sorry I missed this little corner of Florence. I would have found it equally fascinating. How reassuring it is to know that hospitalists are part of a long tradition of humans who have been committed to using their expertise, skills, time, and energies to care for other humans. Every human life is precious, and there can be no higher calling than helping others survive and thrive. Thanks for reminding us of our proud history. I didn’t mention the fact that da Vinci did some of his early dissections at Santa Maria Nuova. Earliest description of atherosclerosis from one of these dissections, though no one knew about this until hundreds of years later when his notebooks were rediscovered. Hospitalist traditions track back further that we think. Amazing history. Lovely. They don’t ring the bell anymore? ? Jordan Messler, MD is the Executive Director, Quality Initiatives at Glytec and works as a hospitalist at Morton Plant Hospitalist group in Clearwater, Florida. He previously chaired SHM’s Quality and Patient Safety Committee. In addition, he’s been active in several SHM mentoring programs, including Project BOOST and Glycemic Control. He went to medical school at University of South Florida, in Tampa and completed his residency at Emory University. He recognizes the challenges of working in a hospital that lines the intracostal waterways of a spring break mecca and requests that if you want to be selected as a mentored site, you will have a similar location with palm trees and coastline nearby. He tries to find time to sit on the beach with his family to escape the hospital’s miasma. While there, he looks forward to reading about the history of hospitals/medicine, and how it relates to quality. But inevitably, he will have his daughter dumping sand on him and then has to explain to his wife why their daughter is buried up to her neck. Discharge Before Noon: an Appropriate Metric for Efficiency?